Win an Amazon Kindle 3G! The Kindle has been Amazon's #1 bestselling item for two years running. The latest version has a high contrast e-ink display, can store more than 3,500 books and weighs only 8.5 ounces (less than half the weight of an Apple iPad). The Kindle in our giveaway also includes free 3G Wireless – no monthly payments, no annual contracts – for downloading new books when out and about. The Kindle 3G retails for $189 and we're giving one away to a lucky newsletter subscriber. Enter now through July 18th, 2011 for a chance to win! We will randomly select one (1) winner from the entries. No purchase is necessary to win. The giveaway will end at 11:59pm on July 18th, 2011. Void where prohibited. U.S. residents only. Click here for the full rules. I WANT TO WIN, PLEASE!!! I would LOVE to win this! Much smaller to put in a tote and would solve my dilema of piles of already read books. (even though I donate them)Thanks!! What a great giveaway! Sign me up. What a good summer win. I, too, would love to win this Kindle! I’m interested in a free Kindle 3G. I am a subscriber! I would love to win! I would Love to win this for my daughter!! Thank you for a chance! I am subscriber with same email address..
Want to win it for my daughter! I’m running out of room on my bookshelves. I need this badly!!! I would love to win…I love to read! I would love to win a Kindle 3G! I would love to use it to read to my 8 month old! I am already a subscriber and I’d LOVE to win this! Kindle - would love to win! I’m a subscriber and would love to win a Kindle! I’m a subscriber and am entering to win! I would love to win this Kindle. Thanks for a great giveaway! I want to enter the contest and win! I wanna try it! I wanna win! I would love to win! My dad has been wanting one of these, and I would so love to be able to give him one. Oh my goodness..I would LOVE a Kindle! Reading is my favorite hobby..this would make it that much better. Thank you! Would love to snag one of these! I would love to win the kindle !!!! I am entering the contest. Thank you! I am a subscriber, think your newsletter is great, and i would love to win a Kindle. Have a great day! I have wanted a kindle for so long and just can’t afford it, i would love a chance to win one!! 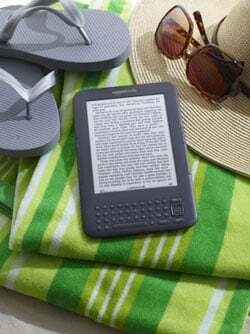 I would love to have a Kindle. Please enter this Nana! Current subscriber, would love to win a Kindle! Thanks for the giveaway! Would love to win! If I win, no more excuses. It would be nice to have all my reads handy.